Our professionally trained glaziers can provide on-site & mobile windscreen and car glass replacement for all vehicle types including cars, vans, trucks, tractors, heavy plant, buses. We also supply windscreens and car windows. 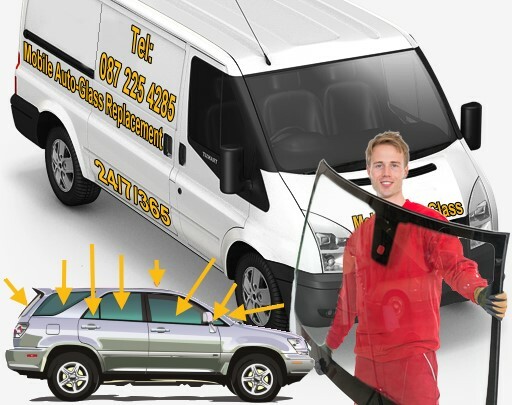 You can call in to our premises on 371-385 South Circular Road, to get your windscreen or car window replaced. Here we can safely store your vehicle if necessary. Our mobile unit headed by our glass expert is available for all auto-glass replacements. For immediate response call Adrian on 087 225 4285!